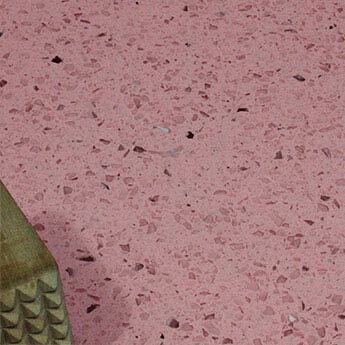 The unique aesthetic of this Crystalstone Baby pink Quartz tile will transform your living space in to a contemporary paradise at the cutting edge of modern design. 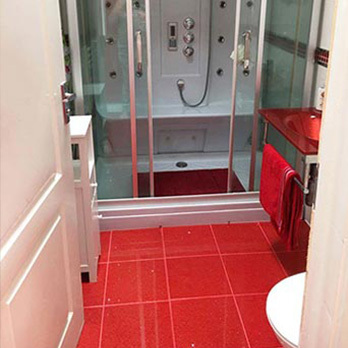 It will prove inspirational in bathrooms, kitchens and also for commercial renovations in offices, hotels and restaurants. 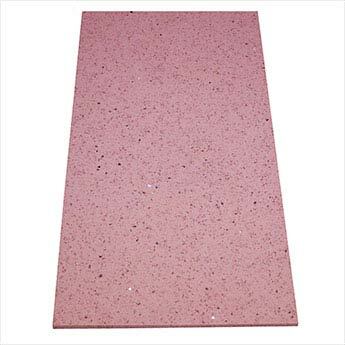 Containing 97% quartz, this high quality tile is both hard wearing and durable. 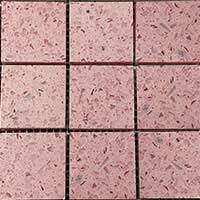 The vibrancy of the pink combines majestically with the glittering mirror particles to create a tile of absolute beauty. 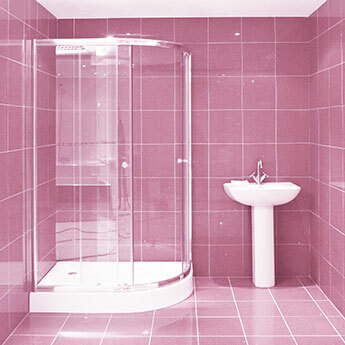 Baby pink has revolutionised the interior design industry and is currently the vogue tile for creative projects. 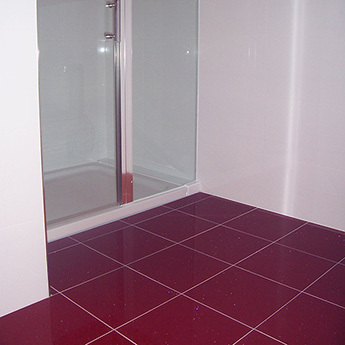 It is extremely popular among architects, property developers and interior designers alike. 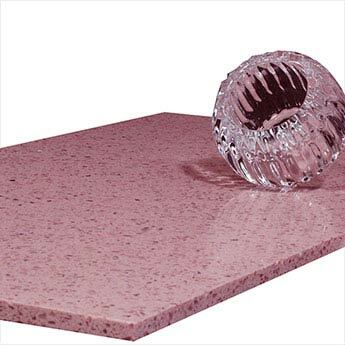 Aside from its obvious attractiveness, the baby pink quartz look has a number of practical properties. 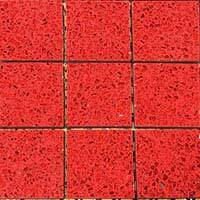 It is non slip, scratch resistant and extremely durable, making it ideal for walls and flooring in the high traffic areas of the family home. 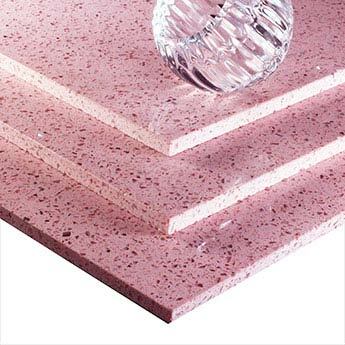 With its resin composition, quartz provides a durable covering with a low moisture absorption rate, any use however in conservatories, near patio doors, outdoor areas, with underfloor heating or in other thermal environments is done purely at your own risk. 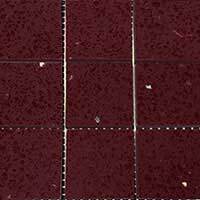 Latex adhesives should be avoided as far as quartz tiles are concerned.